Choosing right web hosting company is an essential step to setup a business website and make them online for customers and improve business presence. There are N numbers of advantages from having a fully managed VPS server if you choose from trusted hosting service providers. A managed VPS server can ensure you have complete control on web panel and manage entire web data hassle free. Do you want Managed VPS server or Unmanaged VPS Server? Do you want Linux VPS server or Windows VPS Server? What could be the web traffic volume you are expecting? What will be the required bandwidth? How much website you will host on VPS server? What is the hosting cost per month? What is Managed VPS Hosting and Unmanaged VPS Hosting? 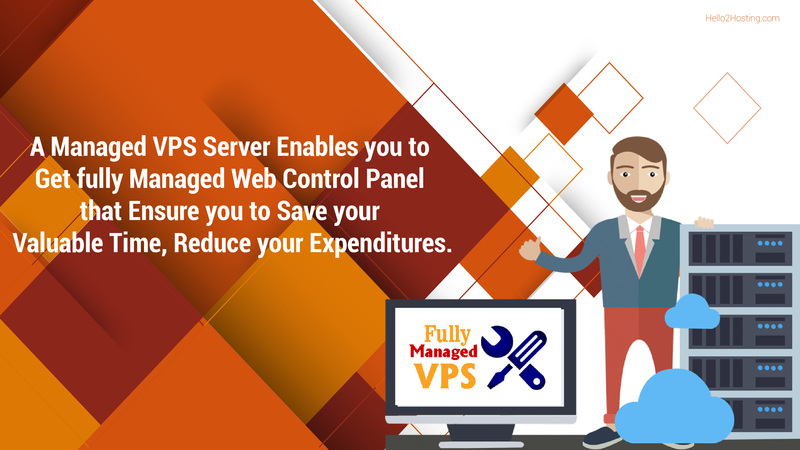 A managed VPS server enables you to get fully managed web control panel that ensure you to save your valuable time, reduce your expenditures. In manage VPS hosting, hosting provider company can also provide you technical support from expert IT support that ensure you to manage your server in a right way. In unmanaged VPS server, customers have complete control over server to manage server space and host website, hosting server providers will not be responsible for VPS management and also may not give you technical support. Most of the web hosting company do not recommend customer to buy unmanaged VPS, it may create problem. Top Class Web Performance – From users and search engine point of view, it is very important to manage website speed while customer browses. Low downloading time of a website can get good ranking benefits from all the major search engine and also boost up customers browsing experience. Highly Scalability – Scalability is another benefit of VPS server. As VPS server highly scalable and comes with very affordable cost, you can make change the allocated resources to your server (i.e. CPU, RAM, Disk space) without hassle and without website downtime issue. Security – Web security is highly concerned today, millions of businesses affected due to hacking in the last couple of years. 2017 was the year of hackers if you remember the moment. If we talk about VPS web hosting, it is highly secured with performance SSD. Lots of web hosting company and data center offering highly protected VPS. Recently, Hello2Hosting launched fully managed VPS server for global customers. Read Also: Why File Backup is Important in the Age of Cyber Threats? Cost Effective VPS Solution – Compare to shared hosting plan, VPS providers may cost you high for managed and unmanaged hosting server, but if you buy VPS server you can get lots of advanced features and advantages and then shared server that comes at low cost. So, if you are planning to buy managed VPS hosting server platform, get in touch with trusted hosting providers who have Data Center and also has long experience to server VPS. Because trusted hosting providers can guarantee an outstanding website performance without any downtime by regular server scans and monitoring of server. Why File Backup is Important in the Age of Cyber Threats?